Welcome to the course on Social Justice and Education! It is an elective course, located in the fourth year of the degree in Social Education and it is also offered in Pedagogy. 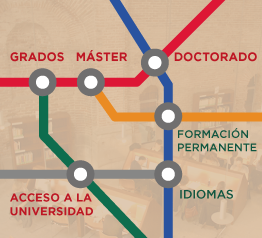 It belongs to the general subject (materia): Procesos, técnicas y recursos de intervención socioeducativa (Processes, techniques and resources for socio-educational intervention). Education should be aimed at promoting social justice implicitly, but unfortunately this is not always so, thus, it is essential to address it explicitly. In this course we hope to equip students with the necessary competencies to question many accepted practices in education and to adopt a social justice perspective in their work. Social Justice is based on the idea of creating a society that is based on the principles of equity and solidarity, that recognizes the dignity of every human being (by promoting social justice at personal, institutional and societal level). The concept has taken on a very controverted and variable meaning, depending on who is using it and for what purspose, so it is very important to be aware of these meanings. In this course we will analyse these different uses. Social educators and pedaogues need to adopt a social justice approach in their work, in order to fulfill adequately and fairly the objectives and goals of our profession.